Amaravathi: The Telugu Desam Party (TDP) on Thursday evening released a list of 126 candidates for the April 11 Assembly elections in Andhra Pradesh, which includes chief minister Chandrababu Naidu who will contest from Kuppam constituency and his son, IT Minister Nara Lokesh who will contest from Mangalagiri constituency. In a press conference, the chief minister announced a list of candidates for the Assembly election, which will be held simultaneously along with the 17th Lok Sabha elections on April 11 this year. 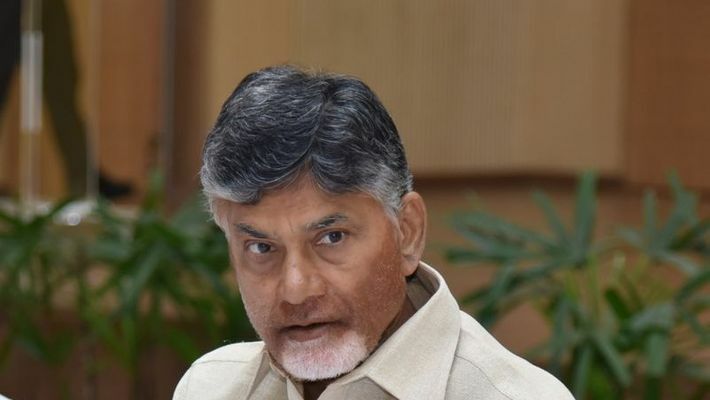 With the release of the list, the chief minister said that the TDP has launched its "Mission 150 Plus," an aim to secure 150 seats in the 175-member Assembly. The party will also announce its list for the Lok Sabha polls on Friday. Kuppam which is located in Chittoor district is Chandrababu’s home ground and will be the seventh time from where the chief minister will contest. Nara Lokesh will contest from Mangalagiri constituency in Amaravathi while Tollywood actor and Lokesh's father-in-law, MLA Nandamuri Balakrishna, will once again contest from his constituency Hindupur. Before commencing his campaign, Naidu will visit Chittoor seeking the blessings of Lord Venkateswara atop the Tirumala Hills on Friday. "I'll go to Chittoor for Tirupati darshan tomorrow. I'll go to all the other districts to meet with party cadres. From March 20, we'll be in full swing campaign mode," Naidu told media persons. Naidu said he conducted surveys and considered public opinion before selecting candidates. "Most of the candidates received a satisfaction rating of at least 86% from the public," he said. Naidu said he coined the slogan "Your future our responsibility" and requested the public to take responsibility and "vote for the TDP and give us clear mandate of 150 seats." 18 of the 24 ministers in the Chandrababu's cabinet have obtained tickets to contest in the elections. Cabinet ministers who found place in the first 16 candidates are Bendalam Ashok (Ichapuram), Gouthu Sireesha (Palasa), Kinjarapu Atchem Naidu (Tekkali), Kalamata Venkataramana (Pathapatnam), Gunda Lakshmi Devi (Srikakulam), Kuna Ravi Kumar (Amudalavalasa), Kimidi Kala Venkata Rao (Etcherla), Baggu Ramanamurthy (Narsannapeta), Kondru Murali Mohan (Rajam), Janardhan Dhatraj (Kurupam), Bobbili Chiranjeevulu (Parvathipuram), RP Banjdev (Salur), Sujayakrishna Rangarao (Bobbili), Kimidi Nagarjuna (Cheepurupalle), KA Naidu (Gajapathinagaram) and Kolla Lalitha Kumari (S.Kota). The names of HRD minister Ganta Srinivasa Rao and Forest minister Sidda Raghavarao were not mentioned in the first list. However, it has been reported that Naidu has kept their names aside for the Lok Sabha election. Chief Election Commissioner (CEC) Sunil Arora on Sunday in New Delhi in an official announcement stated that the elections for the 175 Assembly seats and the 25 Lok Sabha seats in Andhra Pradesh would be held on April 11 in a single phase. The results of the Assembly and Lok Sabha polls will be announced on May 23.